Providing your baby with optimal nutrition means giving your child the best chances for long term health and wellness. Not just for parents of babies, this book can help the whole family! Available at Barnes and Noble and at Amazon.com! 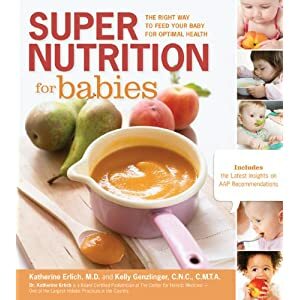 To hear Dr. Erlich speak on the “Simply Human” blog about her book, Super Nutrition for Babies, and how you can optimize your health and your child’s health and well-being, please click here. Hear one doctor’s story of how she designed a diet to help her cure herself and heal from MS.